What you are looking at above is the first 5 minutes of what came to be a very awesome day two in Taipei. As you can see the weather was still no cooperating but I would not let that stop me and shot out of bed bright and early to hit some temples and markets before heading down to one of the cities biggest icons, Taipei 101. I stepped out of the hotel and right then started to take the city in on my walk to the Taipei Confucius Temple. Something a lot of people fail to notice about the entrances and exits to a cities metros is that when looked at more deeply or in the right angles they really start to convey their purpose. These places serve as gateways to the city for so many people everyday. I hope this shot can be a reminder to slow down and notice the small things in your own cities once in a while. 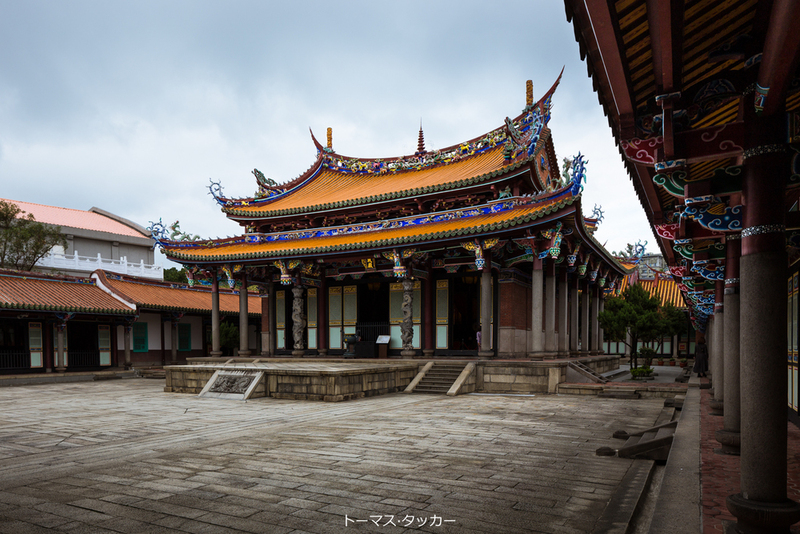 When I arrived in the area of the Taipei Confucius Temple I actually mixed temples up and the one you see above is the first I visited, Dalongdong Baoan Temple. The area had a couple surrounding shrines for various deities and was very well kept. Something also to be noted is that the areas are still very much in use daily by the local populace and some tourists wishing to try the rituals. Almost all the temples I visited featured amazing detail and color, with lavish interiors. When considering the age of some of the structures it really is leveling to think about how some things have been kept so nice or were ever constructed in the first place. The Inside of the main hall at Dalongdong Baoan Temple. Paper lanterns pictured here at the front of the main hall are also a very common theme in Taipei not just at the temples but also around the city and in the markets. A somewhat different perspective on some of the details on the temples. Next up came the Taipei Confucius Temple I had originally traveled to see. I learned that the shrine was actually for teachers from some locals at the location and although it was not as populated with people it still did not disappoint. The temple featured a couple structures but really shines at the main hall pictured below. If you were not able to catch some of the smaller details in that first photo have a look at a more closer angle with these photos. After wondering the temples for an hour or two I started to get hungry. My next stop would be a nearby market that I kept spotting signs for, let me start by saying the street food did not disappoint and the people were very welcoming and kind. Even more so the area provided an amazing opportunity for street photography. 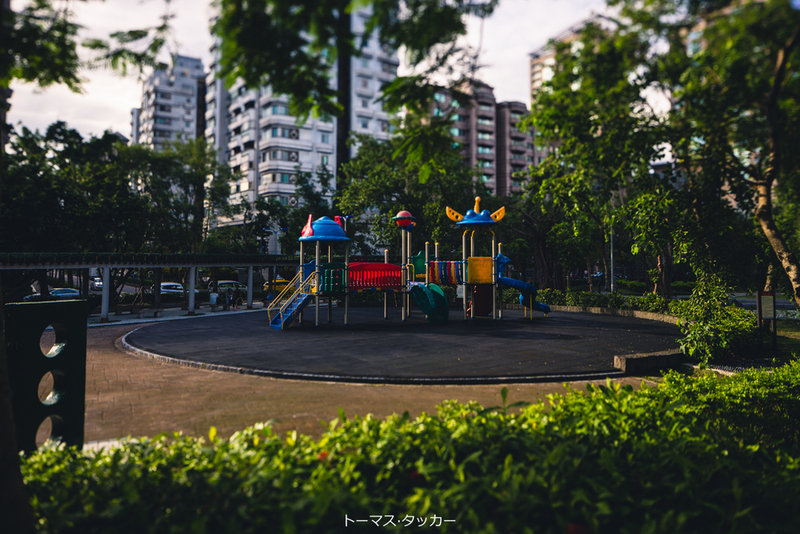 Honestly Taipei has convinced me I need to give street photography a bit more time in my life, I really enjoyed it while in the city. I must have spent at least an hour walking up and down the street looking at the daily life in the markets. Trying different foods, talking to various vendors, and shooting some crazy characters I really made an event of it all. I really hope the photos below can help to convey what it was like walking down the market street that day. On my travels through the streets I could not help but notice the massive amount of moped and bikes getting the locals around. It seems to be a rather efficient way to travel in the area. After finishing up my surprisingly awesome time at the local market I headed over to another popular temple on the north side of town called Hsing Tian Kong. The temple was extremely popular at least when I showed up and featured a totally different style of doing things than the others. People would gather and have smoke wafted around them while also praying out to the walls where many sat with books. It also featured some fairly awesome bright red doors with yellow knobs that still stand out to me. A shot taken inside near the walls, notice the people far left in the shot standing in the middle praying out in the direction of the walls. 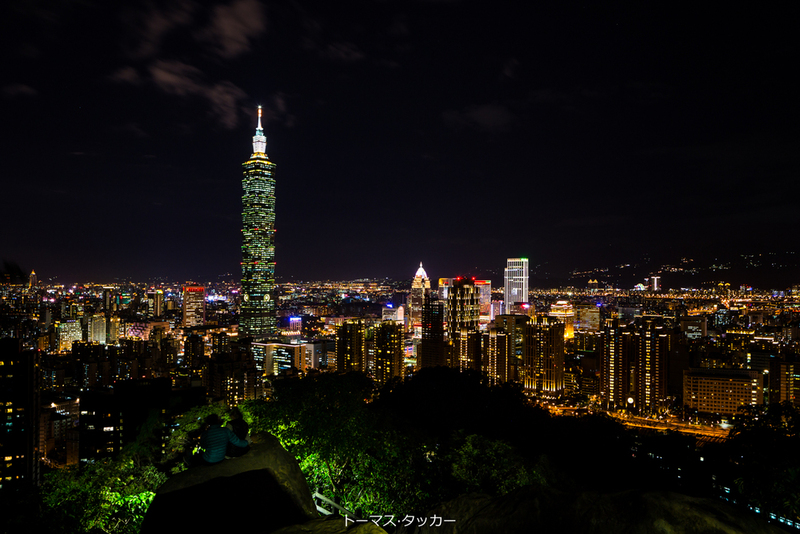 Next on the days agenda came the highlight for most peoples trip, Taipei 101. When exiting the station under 101 you are greeted with the view below. The structure is truly a feat of engineering and is staggeringly massive in size, you can even see the clouds dragging off of it in the photo below. Due to the weather I did not go up the record breaking elevator to the top this day but I can tell you that it is worth the trip and the wait if there is one. The view from the top is impressive, The photos I took on day three from the top capture so much that they are uninteresting and come off as snapshots due to the massive amount of city covered in a single shot. Just because it was a clouded rainy day did not mean that 101 had nothing to offer however, the building still features a 7 story shopping mall and massive food court to boot. This building goes on my must see list for any travelers reading this for help planning our trip, rain or shine 101 is a must. After stuffing myself at the food court I headed over to witness the changing of the guard ceremony at one of the memorial halls. That event goes on the must see list as well, being a service member I gained a lot of respect for the men standing guard up there. In the photo you can see the sweat streaming down his face from standing like a statue for over an hour, and the change over was no joke either. Look at those beads of sweat! Dedication! Next up after this I went back to the hotel to charge up my batteries for a night in Shilin Night Market. The area was three or four times the size of the first market above, had some amazing places to eat (Hot Star Chicken is a must!) and again provided a hot bed for street photography. I finished my night up at a bar in the city after this and actually made friends with a local waiter named Billy Yin that night before turning in to hit the city hard for one last day. Lanterns covering the ceiling of a temple in the market. That is it for day two please have a wonderful evening and come back very soon for days two and three in Taipei. Please leave any questions in the comments or contact me directly. If you liked the photos or the story please share them on your favorite sites or with your friends! My Journey into Taiwan from the lovely Ryukyu started with a lesson. When dealing with budget airlines don't be even a minute late. I strolled into the airport ready to roll and start my 3 day adventure into Taipei. However when going to check in for my flight I discovered the counters had been closed and no deals would be made to get me on the flight! Being just 1 minute late I was a little heated and this is actually one of the few times I have missed a flight. After a moment or two and so many close calls I took it as a hard travel lesson and moved on though. It is important not to let the hiccups spoil the whole trip, after all we go on vacations to enjoy our selves not to be stressed. After arriving into Taiwan I was instantly surprised to find another hiccup. I was an hour outside the city and had landed in a different airport due to the flight change! Luckily with Taiwan being a wonderful destination that seems to strive on a bit of tourism I was soon able to find that a bus into Taipei that would cost me next to nothing! As a nice plus I was able to meet some cool folks on the bus before continuing on to my hostel in the middle of the city for check in. If you don't mind I have to name drop them because I actually lost a couple hours sitting in the lobby chatting up the awesome hosts Kevin and Kimber for stories and information. If you find yourself in need of a clean and cheap place to stay that has good security feel free to find your way over to the Packer's Hostel, I will provide their website at the bottom of this post! After talking my hosts up a bit I headed to the Chiang Kai-Shek Memorial Hall. By now it was dark and unfortunately the weather was not in my favor either but that did not stop me from going out to see the city. One of the first things I noticed on my walk over was that some of the roundabouts in Taipei have this temples setup in the middle that when combined with the traffic like you see above make for an awesome shot. I also noticed upon arrival at the memorial that the monuments in this city are massive. The area called Liberty Square has the massive archway that acts as an entry to the couple hundred meter long space featuring the Concert Hall, Chaing Kai-Shek Memorial, and the Theatre. The area was well used by the local populace for dancing and as a general hangout for younger people when I stopped by. One of the Entrances to the square, notice how small the people are in comparison at the base of the structure. The National Theatre sits to the left of the Arch and features immense details. Sitting directly across from the Theatre is the Concert Hall. Right in line with the Arch and at the end of a long plaza stands the Chiang Kai-Shek Memorial Hall in all its glory. After strolling the grounds of the square for some time and battling the rain I decided it was time to depart and head for Ximending, a more hip and younger part of the city featuring an almost Shibuya feel with lots of shops and places to eat. When I arrived in the area it immediately stood out. The buildings were plastered with adds, there was a massive amount of lighting and young 20 somethings ran from store to store cramming in the last minutes of shopping for the night. This was very different from the city I had just walked through to get here, no empty streets or dark alleys with beef noodle shops like you see below. No more of the above, Ximending had tons of shops to see, large department stores and plenty to eat. It was here I saw my first 4 story KFC and a really crazy place called the Modern Toilet, a restaurant where everything is of the bathroom variety down to even the smallest details. If you go to Taipei you must stop in and have a meal there. Ximending ended up not really being my style but still had its own flare and was a joy to photograph. I called it a night after the photos below and hit the hay early to wake up early for day two. That wraps up day one of my travels, come back very soon for days two and three in Taipei. Please leave any questions in the comments or contact me directly. Have a great rest of your day! Give the folks over at The Packer's Hostel a look if looking for a place to stay in Taipei!